Rhapsody in Yellow | Come Due Maiali / "Like Two Pigs"
When I was growing up, citrus was my strongest fruit association with winter (think Moroccan oranges!). Even now that so many other choices are available during the winter season, citrus invariably makes me think of all the warm and exotic places it comes from. I was not satisfied with that statement, and wanted to find a way to nibble on Buddha’s sweet fingers when the time was right. 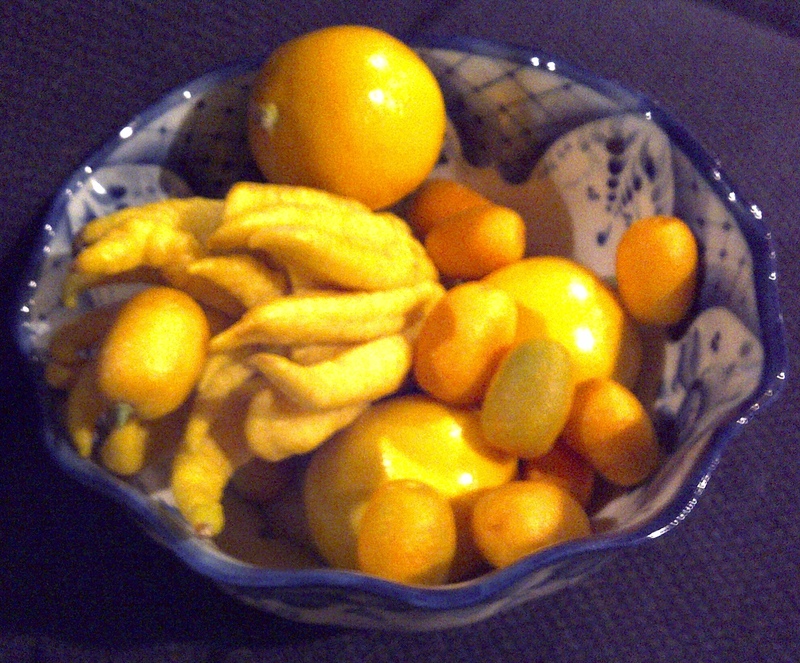 And finally, yesterday Meyer lemons, kumquats, and Buddha’s hand all ended up on my kitchen counter. 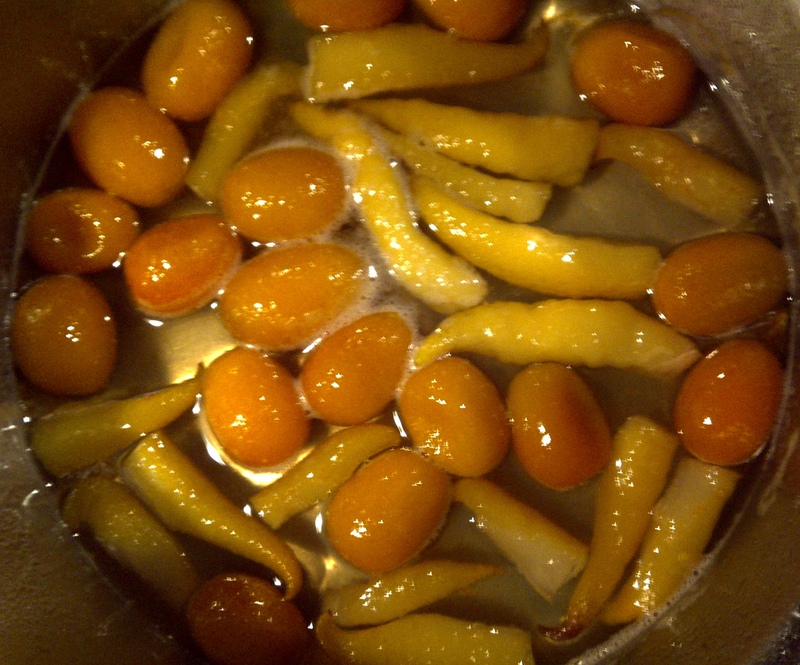 My plan was to make whole candied kumquats & Buddha’s fingers, and a citrus ricotta cake. 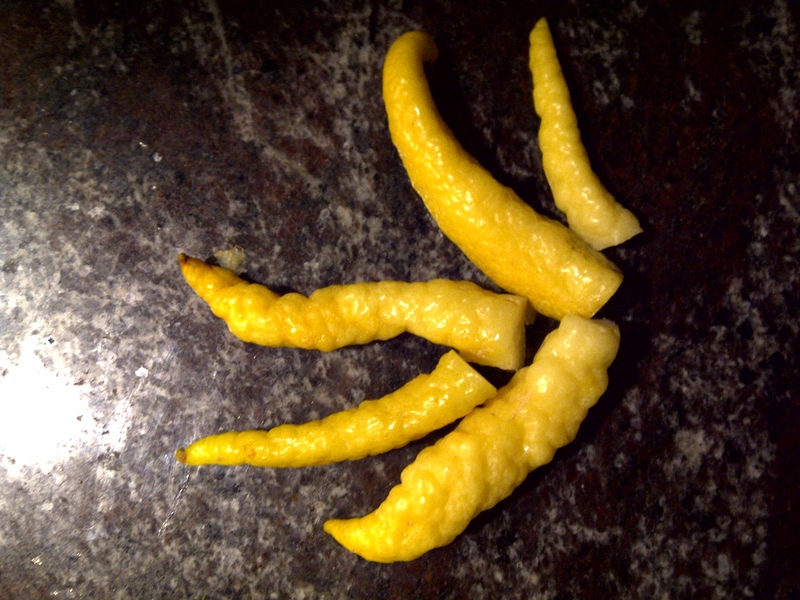 Buddha’s hand is a variety of citron. It is basically made of thick peel and pith, but unlike oranges and lemons, the pith isn’t bitter, and just like its zest, very fragrant, with a distinctive flowery aroma. 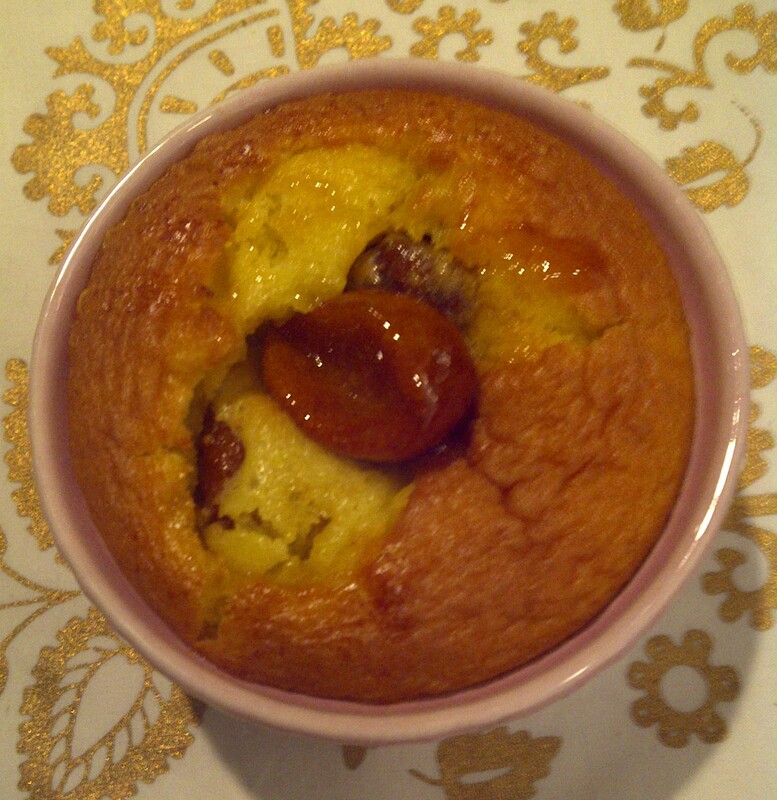 The next step was to use some of the lightly candied fruit in a fast ricotta cake. I used the ubiquitous lemon cake mix as the base (1/2 package), and added in a pound of ricotta cheese, lots and lots of peel from Buddha’s hand, lots and lots of Meyer lemon juice, an extra egg, and 1/2 cup of sugar. 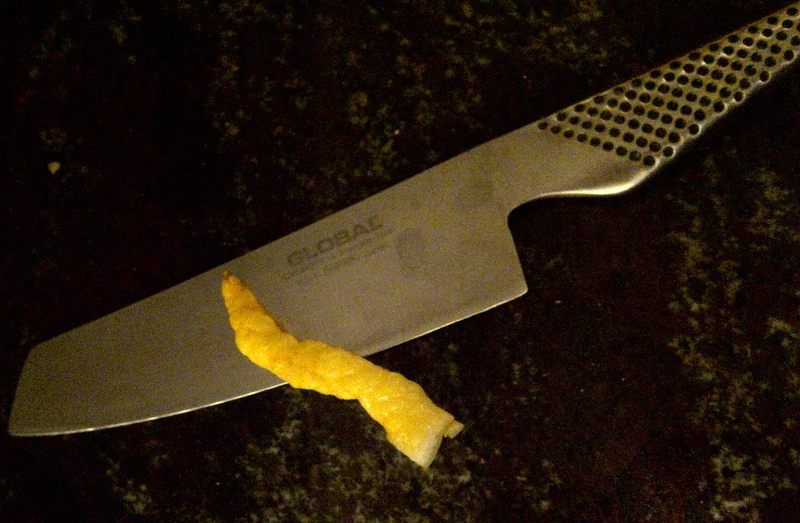 Btw zesting Buddha’s hand was a piece of cake (pun intended), as you just place his palm into yours for a perfectly comfortable and secure grip. the pink ramekin makes it perfect for Valentine's day! 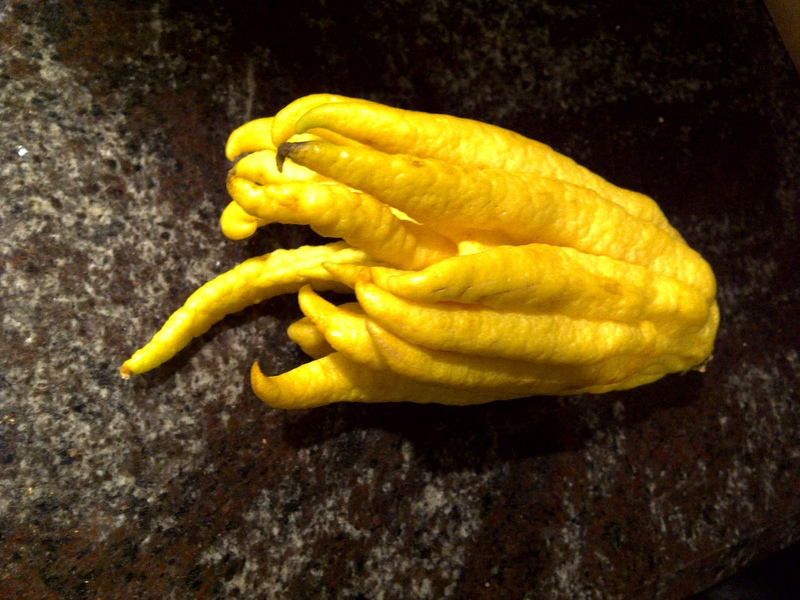 The remainder of Buddha’s hand, along with Meyer lemon zest and juice, was made into a liqueur. I cut up the fruit, added the simple syrup from the candied kumquats, Meyer lemon juice & zest, and placed everything in a jar full of vodka. With any luck, we will be drinking “buddhacello” (a more perfumy variation on limoncello) some four weeks later. 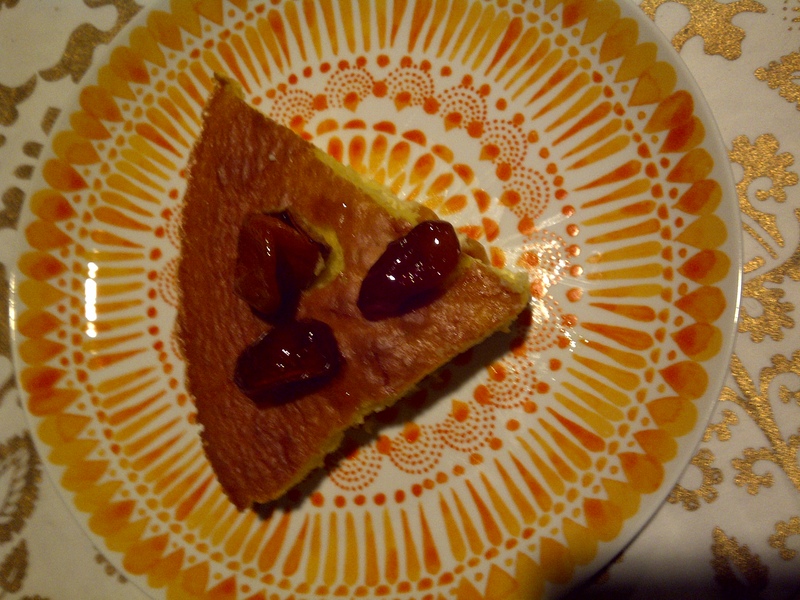 This entry was posted in cooking, food, food & wine and tagged Buddha's hand, buddhacello, kumquats, Meyer lemon, ricotta citrus cake by Come Due Maiali. Bookmark the permalink. Looks so good! I wish I read your post before our trip to the Farmers’ Market this morning… I bet that lemon-ricotta cake is right up my alley. There is always Valentine’s Day…just added the pink ramekin picture. How cool! But, I heard those trees are very frost-sensitive; does it not get quite chilly in Seattle? I am not sure what it is, but thought it would be fun to read more about you, you have been nominated for a 7×7 award, more details are here:http://russianmomcooks.wordpress.com/2012/01/18/2012_feb_bookclub/. Bolshoje spasibo! I will uphold my end of the bargain tomorrow. Pingback: The Dawn of the Age of the Mandoline | Come Due Maiali / "Like Two Pigs"
i am intrigued by the Buddhacello. Please let us know how it turns out. What can I tell you…now I am 5 weeks into the experiment. My husband and I tasted it at 4 weeks, with varying reactions. I love very perfumy things (and buddha’s hand is VERY perfumy), kind of on the exotic floral side. I felt like it was reasonably balanced. My husband thought it was a little too alien for his taste. I would say if you are into mixology, the buddhacello would be fantastic to play around with as one of the ingredients of a drink (as opposed to slugging it down on its own).